The Latino Pride Alliance (LPA) is a non-profit volunteer-led organization responding to the critical need to educate and engage the Latina/o lesbian, gay, bisexual, and transgender community, with a focus on Spanish language families. Our mission is to engage our Latina/o LGBTQ youth and allies, community leaders and organizations to educate and address issues of family acceptance, bullying, homophobia, xenophobia, family separation, violence against youth, homelessness, high health risk behaviors and HIV/AIDs. The LPA works to propose ideas, projects and strategies to enhance the lives of, and address the needs of youth, adults and families, by expanding current programs that are positively impacting our Latina/o LGBTQ community within Maricopa County. LPA will offer English and Spanish training programs and opportunities to develop the advocacy and leadership skills of LGBTQ youth and families. Through outreach and civic engagement, LPA will focus on community events, schools, social venues and youth fairs. 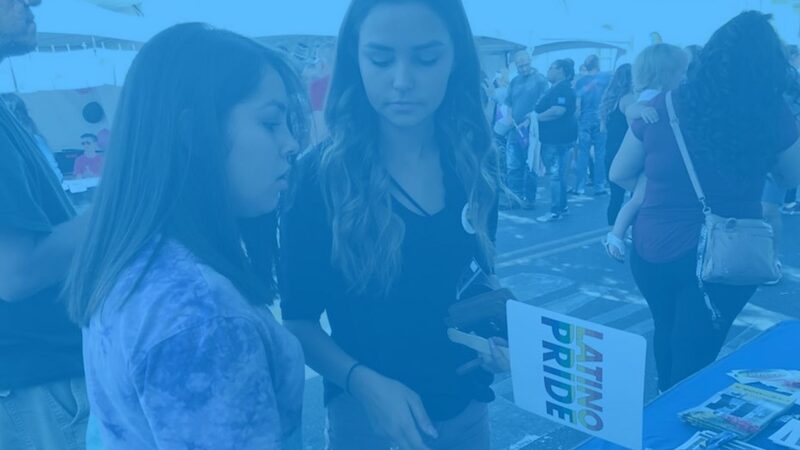 As a non-profit organization, The LPA is committed to recruiting and developing leaders in the Maricopa County Latino/a LGBTQA community by utilizing tools of advocacy, community engagement and public education to build healthy and safe environments by creating a support system of mentors, educators, and allies.